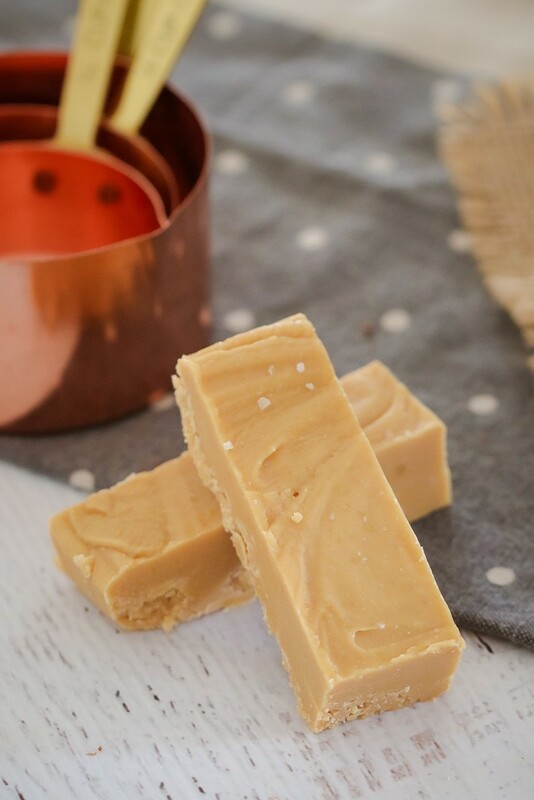 The easiest 5 ingredient Microwave Salted Caramel Fudge recipe!! Super quick and totally delicious! Do you know what I love? A quick and easy recipe that is completely no-fuss! 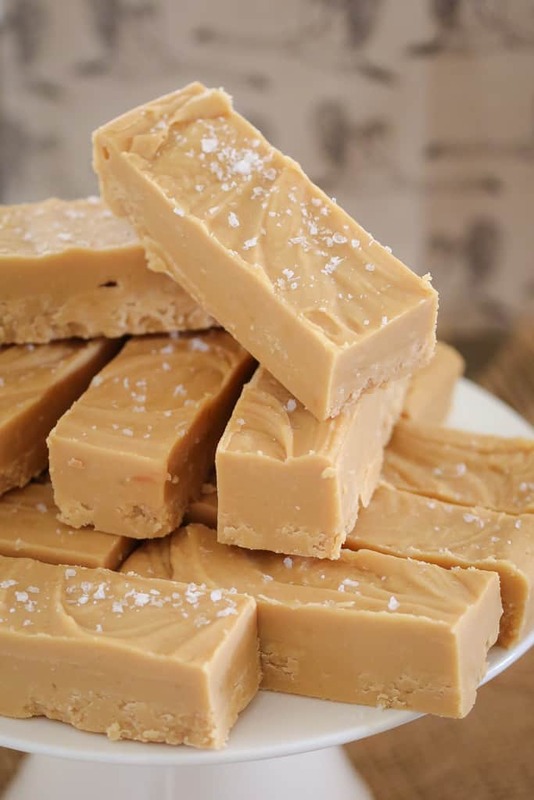 And that’s exactly what this Microwave Salted Caramel Fudge recipe is. It also helps that it’s super yummy too! I used to make fudge on the stovetop but now I’m a complete microwave convert. It honestly could not be any easier to make fudge in the microwave. Heat, stir, heat, stir… you get the point, right!? 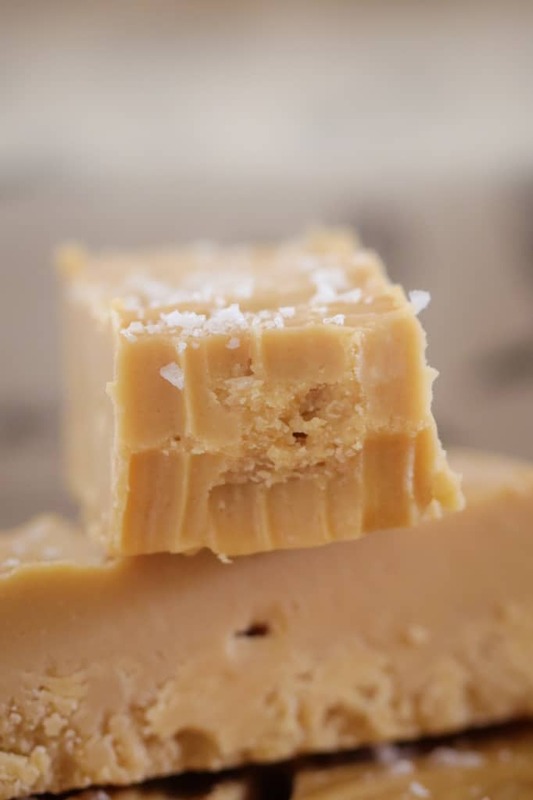 If you’d like a plain caramel fudge, then simply leave the sea salt flakes out of this recipe. BUT OH MY GOSH!! Please don’t!! 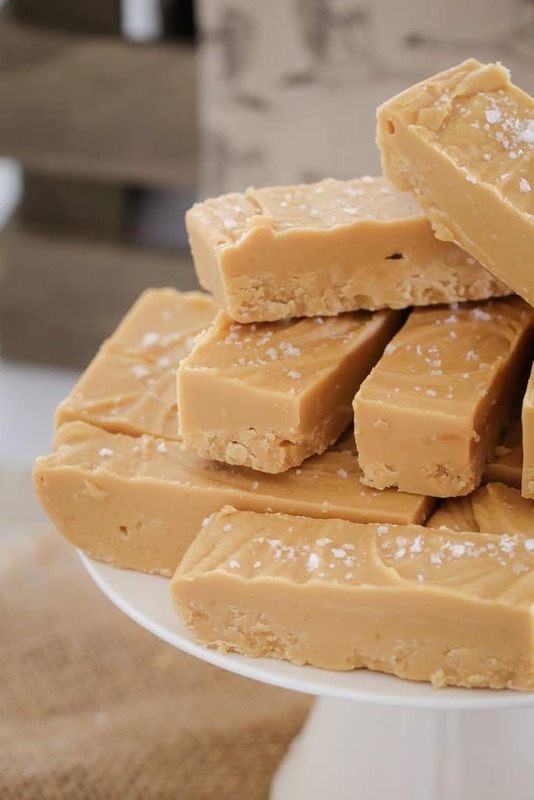 The salt is what makes this fudge AMAZING! Oooh and if you’re a really lovely person (which of course you are!! ), then this makes the perfect gift for a friend. 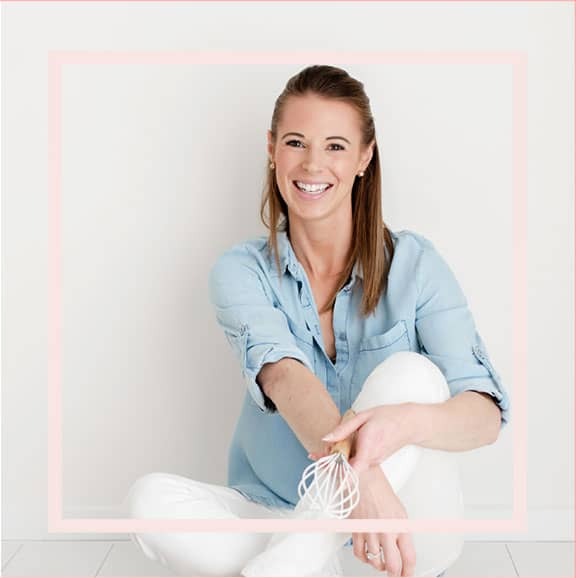 It will last up to a week in an airtight container in the fridge – so you can make it ahead of time and then relax knowing you’ve got something totally delicious sitting in the fridge. PS. If you want to experiment with some more microwave fudge recipes, check out my Milo & Tim Tam Fudge and my Baileys Chocolate Fudge. So simple and sooooo good! Grease and line a 18X28cm rectangular slice tin with baking paper and set aside. Place the butter, condensed milk and brown sugar into a microwave-safe bowl. Melt together in the microwave for 8 minutes (take out and stir every 2 minutes). Stir through the sea salt and white chocolate melts. Pour the fudge into the prepared tin and sprinkle over the extra sea salt. 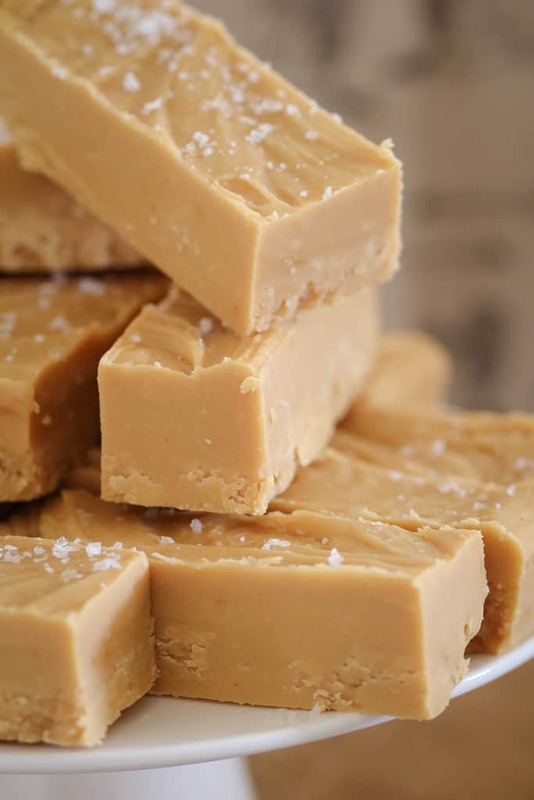 This fudge can be stored for up 1 week in an airtight container in the fridge. To keep it from getting grainy make sure to scrape sides of bowl when stirring so the sugar is melted and doesnt get any grains in it from sides of bowl. I doubled this recipe and needed 12 minutes on my 1200w microwave. 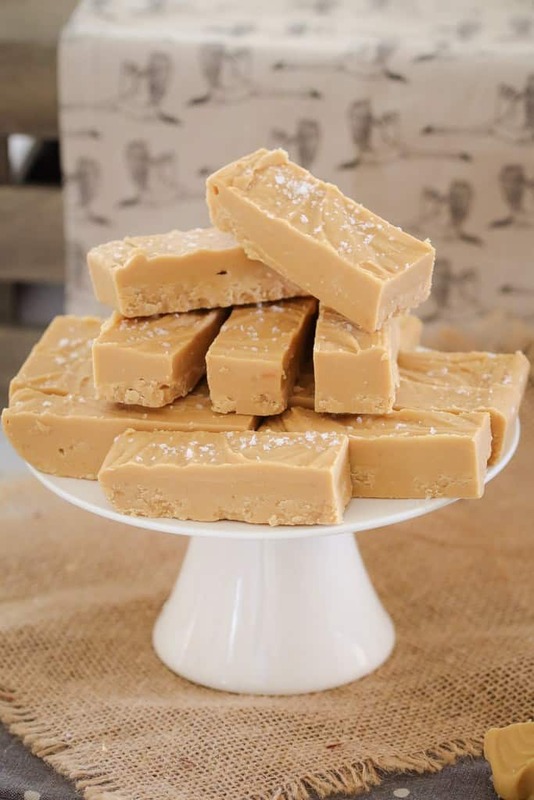 Keep storing and testing the fudge before you add white chocolate yo ensure all the sugar has cooked and dissolved properly. Hello, and thank you for sharing this wonderful recipe. May I please ask that you convert the grams to American standard measurements for us goofy ones out here. 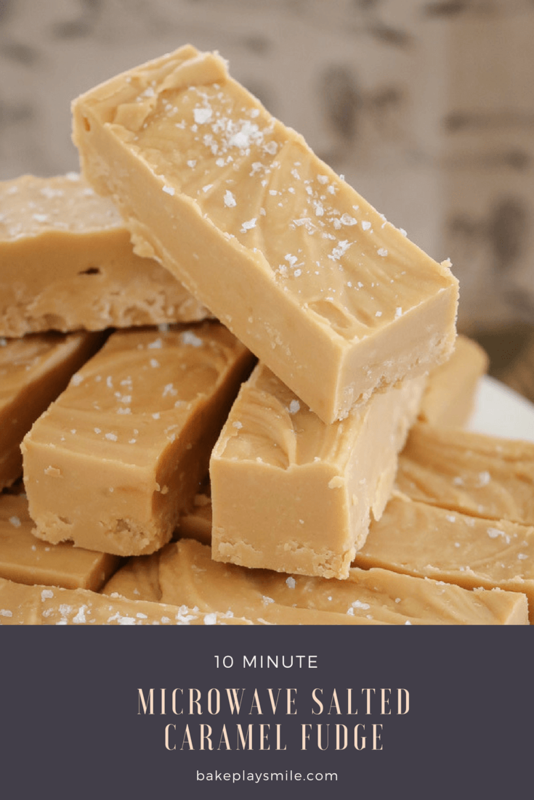 This fudge is much easier to make than on the stove with a candy thermometer! I was afraid the fudge was going to be dry as I was cutting it but it’s great and this creamy and salty fudge is fabulous! Wonderfully easy to follow recipe and the results are absolutely delicious. 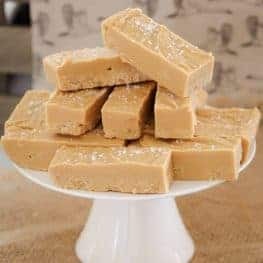 I have made fudge in the past on the stove top and this microwaved method is so much safer and easier. I used a silicon baking mould which made turning out and cutting so much easier. Thank you for sharing!